The aggregated balance sheet of the MFI sector is the sum of the harmonised balance sheets of all the MFIs. 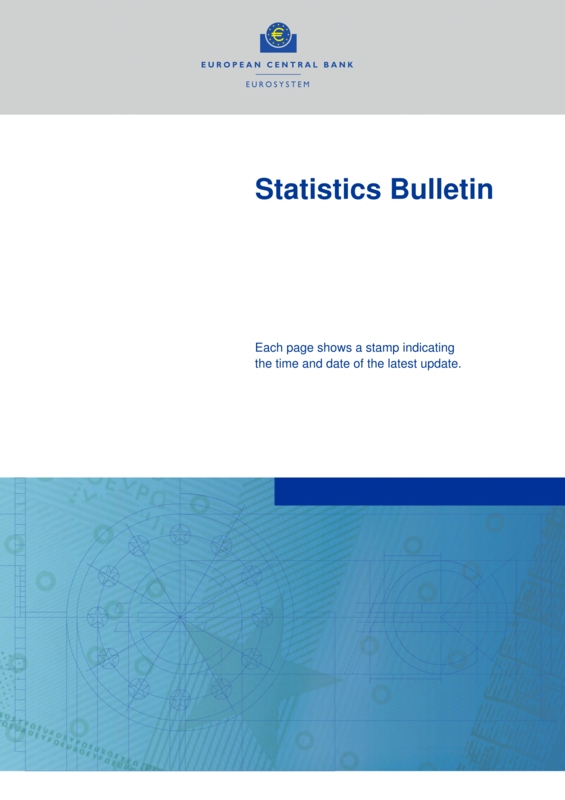 In this section, assets and liabilities are presented at aggregated level for the euro area as a whole, euro area Member States and other EU Member States non-participating in the euro area. The data available in this section refer to the aggregated balance sheet of the monetary financial institution (MFI) sector, excluding the central banks for the euro and for EU countries. Data on the assets side of MFI balance sheets include loans, holdings of debt securities, shares/units issued by MMFs and non-MMF investment funds, equity, fixed assets and remaining assets. Data on the liabilities side include deposits, debt securities issued, shares/units issued by MMFs, capital and reserves and remaining liabilities. The dataset includes monthly and quarterly data covering outstanding amounts, transactions and growth rates. For loans, holdings of debt securities and deposits in particular, further breakdowns are available on a monthly or quarterly basis: by sector and residency of the counterpart; by original maturity of the instrument; and by currency of denomination. Breakdowns by original maturity are also available for debt securities issued. Below you can find the list of publications and reports MFI balance sheet data appear.